Christmas is now well and truly approaching. Unbelievably the Christmas adverts have already begun popping up on telly and stock is being piled into shops. This years selection of gifts really is pretty comprehensive, covering all sizes and budgets possible. 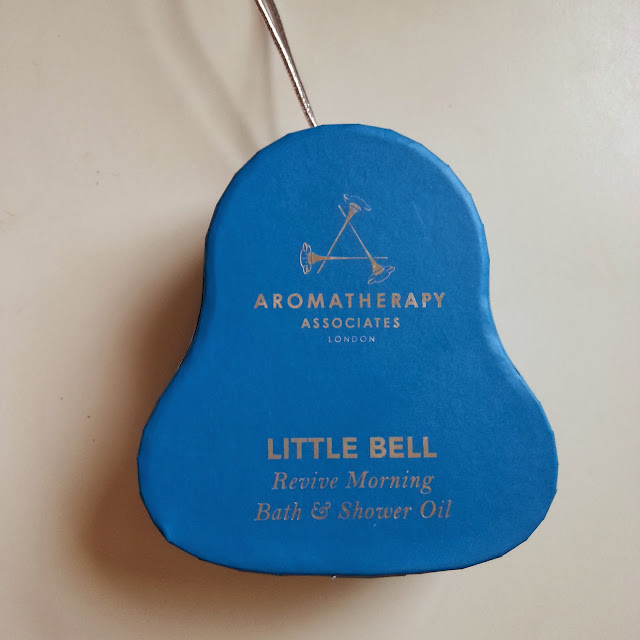 I was sent the adorable Little Bell* gift from Aromatherapy Associates London to take a look at. The cute little bell shaped box contains a single 7.5ml bottle of their Revive Morning Bath and Shower Oil and is designed to give an indulgent taster of the brand, just enough to leave you feeling like a queen and wanting to try more. The brand pride themselves on using only the highest quality essential oils to create their blends and are used in some of the most exclusive hotels and spas across the UK. The prestige and the high quality of the product is definitely reflected in the size of this stocking filler I feel. The 7.5ml bottle of grapefruit, rosemary and juniper infused oil is recommended to spread between "Up to three unique bath or shower experiences" by either pouring one third of the bottle into your freshly run bath or smoothing all over your body before a shower. 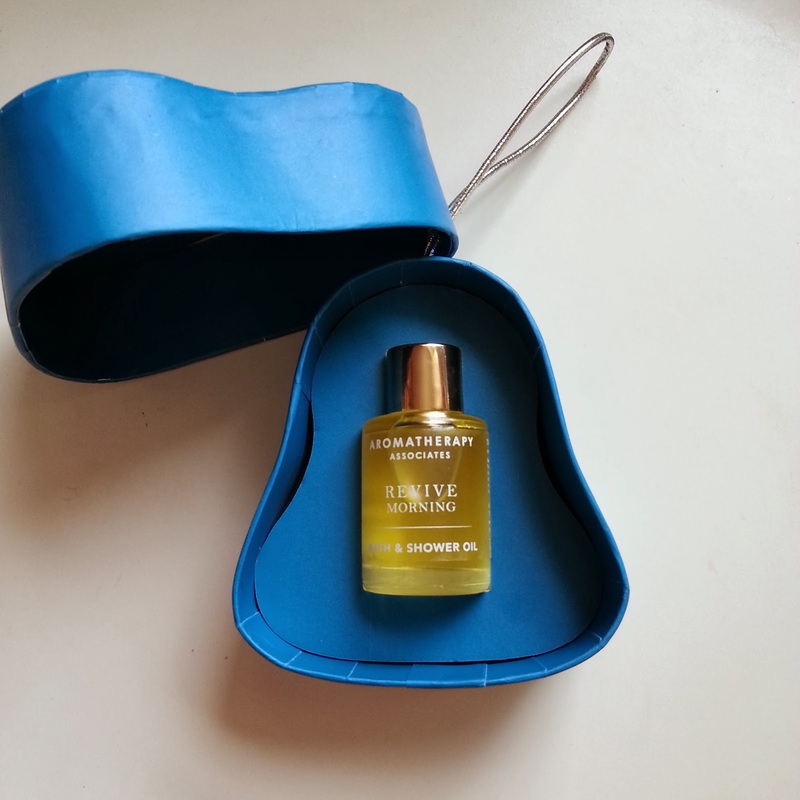 Whilst this does make for an amazing experience (seriously, it is incredibly uplifting on the senses and leaves skin silky soft as well) I feel that for a gift costing £10 it could have done with being just that tiny bit bigger, even if just 10ml instead of 7.5ml so that you can grab that one last shower. I also think it would make the bottle itself feel more satisfying as it is only the size of my thumb. Just ordered mine! I haven't tried any of their bath oils before. Hope they live up to the hype!